September 9, 2015, 7:00 P.M. Provided courtesy of Bleecker Street Media. Rated PG-13. 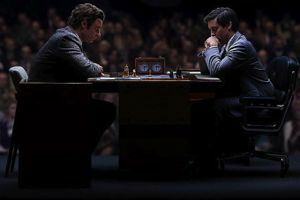 Running time: 116 minutes. Russo, Morgan Freeman, Kevin Spacey and Cuba Gooding,Jr., and Bicentennial Man, starring Robin Williams. As Executive Producer: In the Line of Fire, starring Clint Eastwood, John Malkovich and Rene Russo, Instinct, starring Anthony Hopkins and Cuba Gooding, Mighty Joe Young starring Bill Paxton and Charlize Theron, and Red Corner, starring Richard Gere and Bai Ling. As Co-Producer: Shattered, starring Tom Berenger, Bob Hoskins and Greta Scacchi. Her films have received 9 Academy Award nominations. 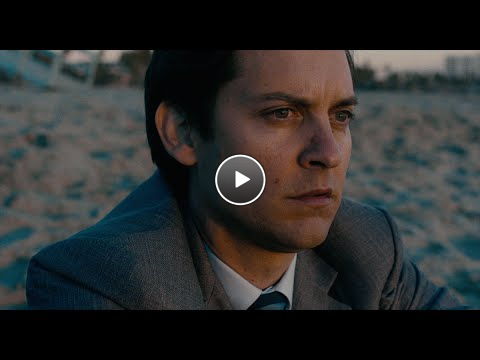 Gail produced the upcoming Pawn Sacrifice, starring Tobey Maguire, Liev Schreiber, Peter Sarsgaard and Michael Stulbarg and directed by Ed Zwick. 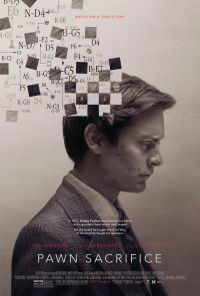 The thrilling Cold War drama about the 1972 Bobby Fischer/Boris Spassky championship chess match premiered at the Toronto Film Festival in 2014 and will be released in September 2015 domestically by Bleecker Street Media, while Lionsgate sold the international rights. Among other properties, Gail is developing the international board game sensation, The Settlers of Catan. In television, Gail was Executive Producer of the ABC series Cashmere Mafia, starring Lucy Liu, about 4 successful friends who met in business school, based upon her own experiences. Gail was also Executive Producer of the CBS series, The Agency. The one-hour CIA drama ran for two seasons and starred Beau Bridges, Jason O’Mara, and Will Patton. Gail also produced the play, Lessons, which starred Mare Winningham and Hal Linden and ran to sold-outhouses in Los Angeles. Gail began her career in the film business with studio executive positions in finance and home video. She began her production career as a Vice President of Production at New World Pictures after she segued from her position there as Vice President of Finance. 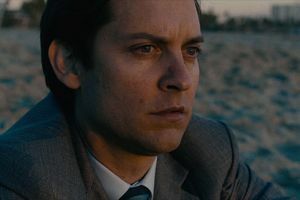 She left the company and formed Radiant Productions, a long and successful partnership with director Wolfgang Petersen. She now heads up her own company, Gail Katz Productions. Gail is also Adjunct Professor of Production in the graduate program of the USC School of Cinematic Arts, and has lectured at Yale University, the UCLA School of Film, Theater and Television, Art Center College of Design, University of California at Santa Cruz, and Berklee College of Music.